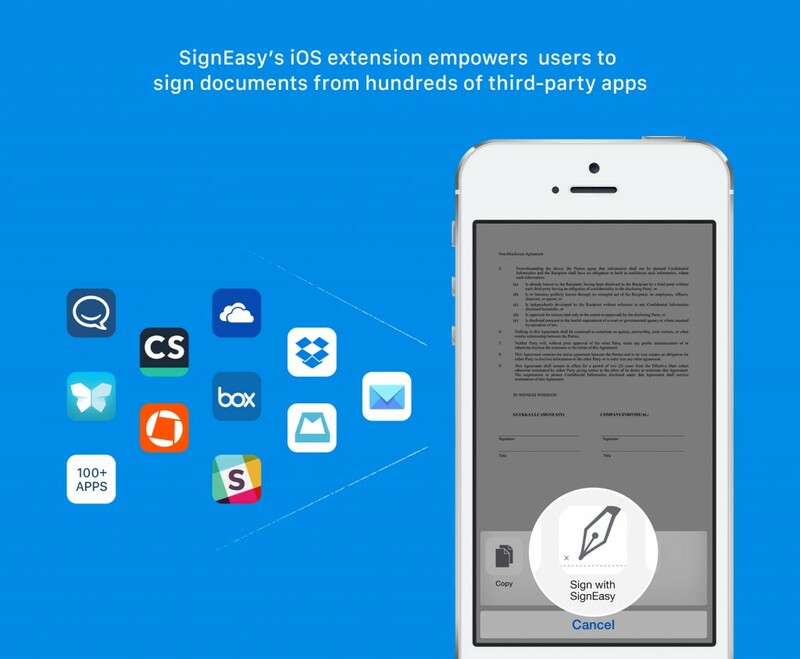 At SignEasy, we knew that Apple’s new iOS extension capability opened up possibilities that would get us closer to the mission of enabling users to seamlessly sign paperwork regardless of the tool, app or service being used. To be able to sign an important document and send it back while on an idyllic vacation was the utopian dream that inspired the creation of SignEasy. And now SignEasy has made that dream come true with the new iOS extension. 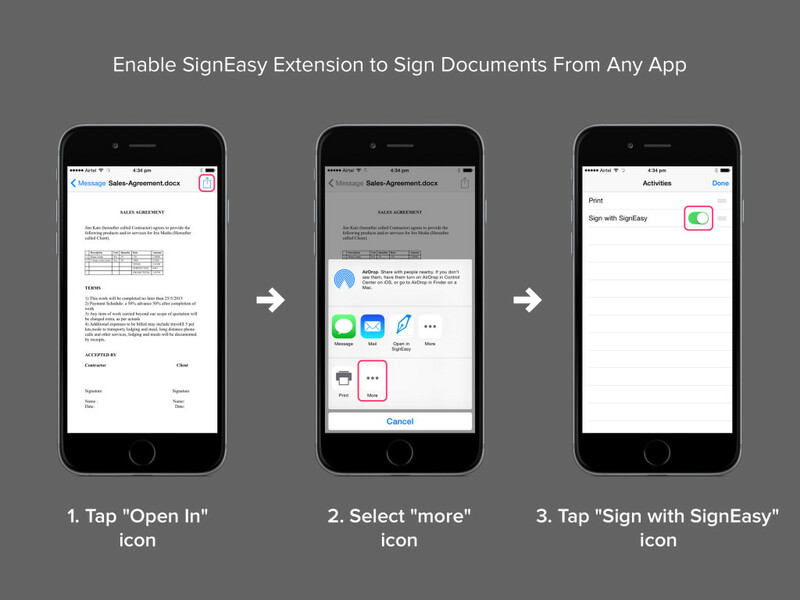 With just a single tap of your finger you can now sign any important document right within any app. We are excited to launch an iOS extension that empowers users to seamlessly sign and send paperwork from within hundreds of third-party apps. This feature is extremely useful for signing and sending across documents that need a quick turnaround while you are using another app. The extension works its magic with hundreds of project management, email, collaboration and business apps such as Apple’s Mail App, Box, Camscanner, Cloudmagic, Dropbox, GeniusScan, Mailbox, Microsoft OneDrive, Scannable, Slack. Let’s say you receive a document over email which requires your signature. With the new extension, all you need to do is choose ‘Sign with SignEasy’ to sign it right within your mail app. It’s that easy! No more wasting time switching between apps. What is even better is that you don’t lose the context of your task. Convenient, huh? The first time you are using this extension, you must enable the ‘Sign with SignEasy’ option. To do this, tap the ‘More’ icon in the ‘Open in’ share screen and enable ‘Sign with SignEasy’. The new SignEasy App, supporting iOS extension is available on the App Store for iPhone, iPad, and iPod touch. 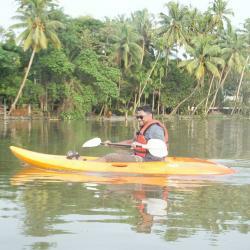 A pluviophile, coffee addict, foodie and an avid gamer, Kiran also spends time on Football, History, Classics, Movies, and Fiction. He is secretly waiting for the confirmation of sentient life in the Universe.